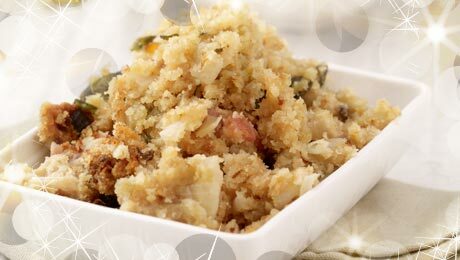 The perfect stuffing for Christmas. Firstly, melt butter in a frying pan over medium heat. Add the onion and garlic allow to simmer for 5 minutes or until softened and translucent. Transfer the mixture into a bowl and allow to cool for 5 minutes at room temperature. Add the almonds, sage, breadcrumbs and seasoning. Then, line the cavity with some tin foil or parchment paper and loosely pack the almond and sage stuffing into the bird.